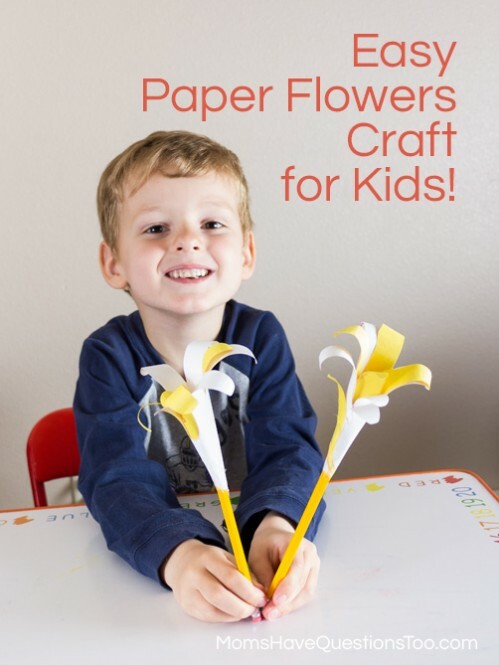 It’s been awhile since I did a craft just with Little Bear so I decided to pull out some old kids spring craft ideas. 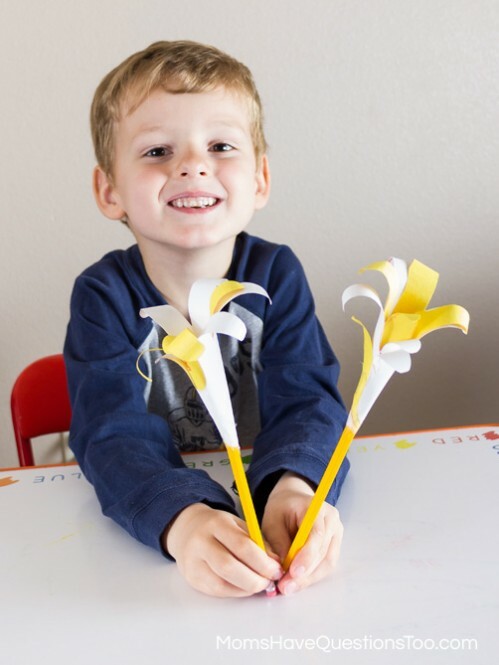 I found an old handprint lily and knew that it would be the perfect preschool spring craft. Little Bear and I have been noticing the changes that spring brings (birds chirping, leaves and flowers growing on trees, warmer weather, etc.) so I thought it would be fun to do a craft that went along with spring. 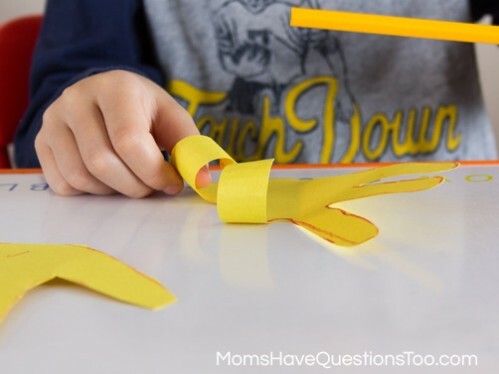 Start by having your preschooler trace his or her hand onto the construction paper several times. I use two handprints for each lily so I had Little Bear trace his hand four times. That way we had enough for two lilies. 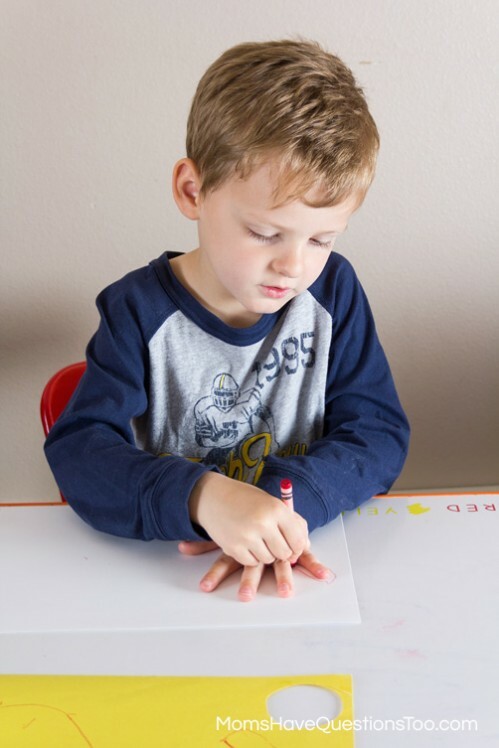 Next, have your preschooler cut out the handprints that he just traced. Use a pencil or pen to curl the edges of the fingers. Be sure to curl all of the fingers the same direction. 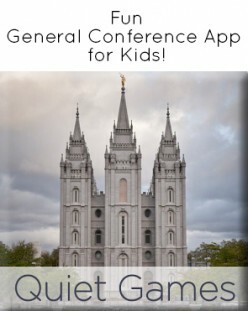 The next step is fairly simple, but your preschooler will probably need a bit of your help to do it. Put two handprints together (I did one of each color and opposite hands). 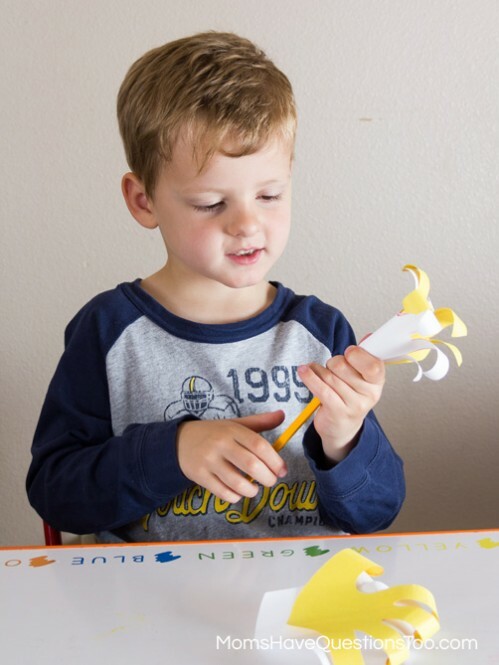 Wrap the handprints around the end of a pencil. Be sure to wrap them around the eraser edge so that the pencil can still be used. When the handprints are securely wrapped and look like a lily, use some tape to secure the handprints in place. Repeat the steps with any other handprints. 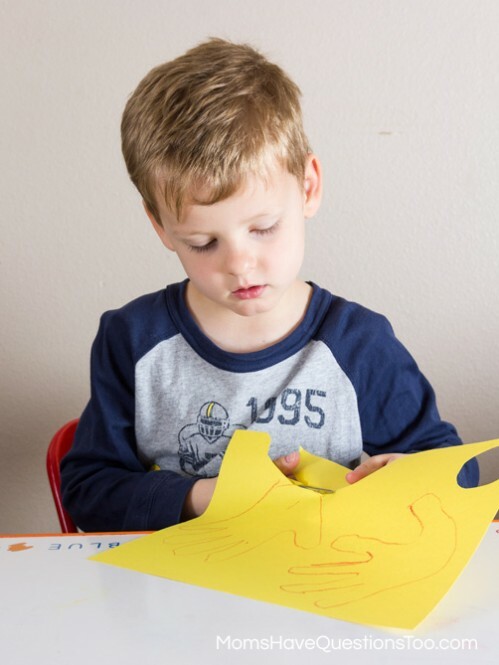 Little Bear had a blast with this craft probably because he loves tracing his hand. He traces his hand in his journal almost every time I have him write in it. 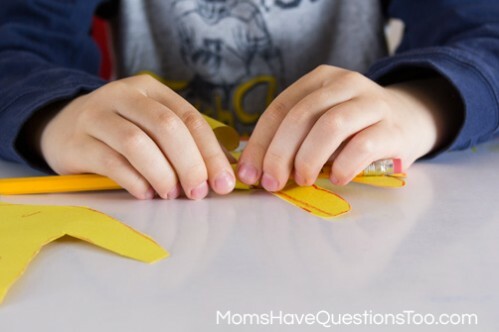 This is a great spring craft idea for kids because it is pretty simple, but kids love to make things with their handprints. It also makes a great homemade mother’s day gift.